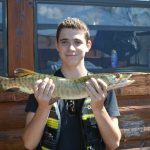 At North Star, we have been rewarded with some of the best fishing in the State of Wisconsin. 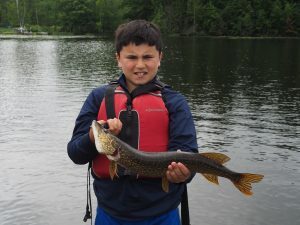 Muskie, bass, and many other great fish grace the waters of Spider Lake. 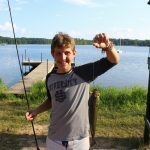 Hayward is known nationwide for being a fishing destination and is home to the Freshwater Fishing Hall of Fame. 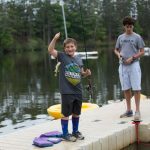 Simply put, our campers love to fish. 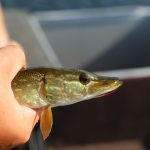 Many will wake at the crack of dawn to head out to the docks to go fishing. 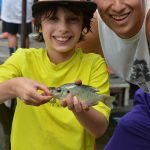 Our fishing project teaches kids the skills to make sure that they’re successful anglers. 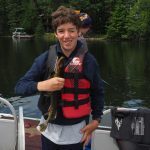 Campers are taught the introductory skills when they start as beginner fisherman. 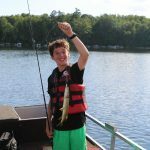 They learn how to care for their rod and reel, how to bait their lines and, of course, what to do when they catch fish (which they will). 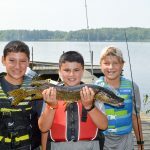 As campers advance through the levels of fishing, they head out to different parts of the lake and learn new techniques as they try to land a big catch.